If you’re studying Chinese, you will have already heard of the HSK exam, which is a nightmare for many people. In this article, I’ll explain what it consists of, what it’s useful for, where you can write it, and how much it costs. 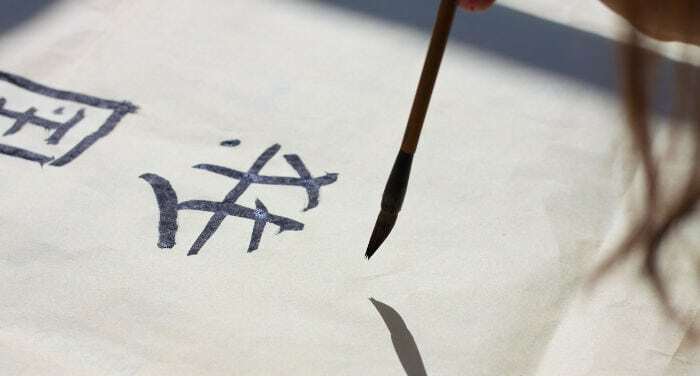 The HSK or Hanyu Shuiping Kaoshi (汉语水平考试) is an official Chinese exam for foreigners or Chinese people who need to demonstrate their language abilities (such as those born abroad or people belonging to ethnic minorities whose native language is a dialect variant). It literally means “exam for the level of language of the Han,” also known in English as Mandarin Chinese. While it’s not the only official Chinese exam that exists, it is internationally recognized, and in China in particular, its use has been established to measure the Chinese level of foreigners. It appears that the idea to standardize Chinese proficiency evaluation started in the 80s in academic circles in Beijing. However, it wasn’t until 1992 that the exam was officially approved. The body currently in charge of creating, organizing, and correcting HSK exams is called Hanban. Hanban is a public institution that is directly dependent on the Chinese Ministry of Education, and which encompasses all services and departments related to learning Chinese language and culture across the globe. What does the exam consists of? The HSK exam is divided into 6 levels, from 1 to 6, from the lowest to the most advanced, respectively. It’s possible to write the exam for any level without having passed any previous level. In addition, there is no limit on how many times you can attempt any level. The exams corresponding to the basic level (HSK1 and 2) are divided into two sets of exercises: first is listening comprehension and after that is reading comprehension. Starting as of HSK3, all exams also include writing exercises (in Chinese characters, of course). Chinese proficiency tends to be measured through the number of characters that you memorize. To get an idea, passing HSK1 means that you are able to recognize around 150 characters, whereas to obtain an HSK6 certificate, that means that you master a minimum of 5,000. It goes without saying that the higher the exam level, the more difficult the exercises. For example, in levels 1 and 2, all characters are accompanied by pinyin or a phonetic transcription, a greatly appreciated help that disappears in HSK3. Starting as of HSK4, the recording for listening comprehension exercises is only played once and not twice, as is the case in lower levels. Nonetheless, intermediate level exams are more or less doable if you’re a consistent student. I want to highlight the qualitative gap between HSK4 and HSK5, and between the latter and HSK6. The two advanced levels are a challenge for any Chinese student. First of all, this is because they accumulate a large number of characters and second of all, because you have to be creative in your writing and as fast as lightning when reading. The length of the test also varies depending on the level, ranging from 35 minutes for HSK1 up to 140 minutes for HSK6. Even so, the fact that the exam takes more time doesn’t mean that there’s more time to do the exercises; rather, quite the opposite is true… Lack of time is a serious problem, especially in the upper levels. The minimum score to pass HSK1 and HSK2 is 120 out of a total of 200. From HSK3 to HSK6, you need a minimum of 180 points out of 300. Since 2011, it has been possible to do the exam online, because of which the writing portion for exams for levels 3 to 6 has become more manageable (it’s a lot easier to write characters on the computer than by hand). However, the test is only available at certain authorized centers (see “where to write the exam”). The HSKK (Hanyu Shuiping Kaoshi Kouyu, 汉语水平考试口语) is the oral exam portion of the HSK exam. It is independent of the written test, and you need to sign up for it separately. This means that you don’t have to write the written portion to have access to the oral component and vice versa. In addition, not having any previous HSK or HSKK certificate won’t exclude you from writing it. As opposed to the written portion, HKSS only has three levels: basic 初级, intermediate, 中级 and advanced 高级. Each of these levels corresponds to two HSK levels (see the table in the previous section). So, for example, if you have an HSK4 writing level, it’s most typical for you to have an intermediate oral level. However, this is only a standardized approximation, as people can have an advanced oral level and not know how to read or write characters. One particularly of the oral test is that it’s done entirely through an automated listening and recording system. In other words, it won’t be an in-person examiner assessing your oral Chinese proficiency, but rather you will listen to and respond to each exercise on a recorder, computer, or something similar. The recording with your answers will be sent to China, where it is evaluated by the corresponding professionals. In my experience (I’ve written the HSKK twice, once in Spain and the other time in China), this system is much worse than in person. First of all, this is because it’s impossible to not lose your concentration in a room full of exam students talking at the same time as you. Second of all, if talking into a microphone is hard in the first place, imagine having to do it for several minutes, and in Chinese at that! The oral exam takes 20 to 25 minutes (depending on the level), and in all cases is passed with a minimum score of 60 out of 100. Today, there are around 200 centers authorized to give the HSK and HSKK exams in countries across the five continents. To access the exam, you have to sign up online beforehand. First of all, you have to go to the official Hanban webpage for Chinese exams, sign up, and select the exam that you want to write (remember that you sign up separately for the written and oral exam). During the registration process, you will have to select the examination center, date that you want to write the exam and if you want to do it by hand or on the computer (you will see that the last option is only available at certain centers). You have to enter your personal information and the system will ask you upload an ID photo. After checking that your information is correct, it will direct you to the page to pay the exam fees. The cost of the test varies depending on the country, so you’ll have to check your specific case. If I remember correctly, I paid 30 euros in Spain in 2014 for the written test and 500 Yuan (around 70 euros) in Shanghai in 2016 for the same test (yes, it was quite a bit more expensive in China). If you have problems registering online (uploading your photo or making the payment online can drive some people to frustration), I recommend that you go personally to the center where you want to write the exam and ask them for help with the process. Some Chinese education centers also take care of signing up their students for the HSK and HSKK exams. The results are published 30 days after the exam date on the same official registration page. Physical certificates are picked up at the examination center. When going to write the exam, don’t forget to bring a copy of your registration form, your ID (the same one you used to register), and B2 pencils (according to Hanban, these are the best for filling out the answers sheet). What can an HSK certificate be used for? First of all and very importantly, it’s the key to getting scholarships to study in China. Generally speaking, undergraduate and postgraduate studies at a Chinese University require HSK4-HSK5 and intermediate HSKK. To study an academic semester Chinese course, the minimum to apply for scholarship tends to be HSK3 and oral HSKK. However, without an HSK certificate, you can access universities in China, you just won’t be able to apply for conventional scholarships or carry out undergraduate or postgraduate studies in Chinese. However, you can take Chinese language courses or advanced studies in English. In terms of the professional environment, while you would think that having HSK5 or HSK6 would open up many doors for you, reality is a lot more disappointing. In my experience looking for work in China, I ran into Chinese employers that didn’t even know that the exam existed. Even so, if your profession is teaching, translation/interpretation, or anything related to linguistics, things change. In the majority of these cases, people are, in fact, familiar with the certificate, and the minimum HSK level required will even be specified in job postings. Whatever your case may be, if the job requires a certain level of Chinese proficiency, during the hiring process, someone will be in charge of assessing your level. Therefore, sometimes the certificate isn’t enough, as you will need to demonstrate your language skills in a conversation. Last of all, it’s worth mentioning that for many Chinese students, writing and passing an HSK exam is a difficult yet comforting experience. It symbolizes an achievement in the difficult path to mastering Chinese, which is moreover made concrete through a diploma, which is a valuable way to set yourself apart in today’s world. As is the case with other language level certifications, both HSK and HKSS have a validity of two years. The HSK and HSKK are the most popular official Chinese exams as well as those which are most widely recognized, but they aren’t the only ones. Hanban also organizes YCT exams (Young Chinese Test ) and BCT exams (Business Chinese Test), among others. Click here for more information. In addition to official exams in mainland China, Taiwan also has its official exams, known as Test of Chinese as a Foreign Language (TOCFL), previously called TOP (Test Of Proficiency-Huayu) in Chinese 華語文能力測驗. [Photo Credits (Creative Commons License): www.flickr.com/photos/lydiaxliu/].